For Posterity: Clark DeLeon | What is it? For the record, here is the entire text of the 1983 article where Philadelphia Inquirer columnist Clark DeLeon interviewed (by phone) a man going by the name James Morasco. THEORIES: WANNA RUN THAT ONE BY ME AGAIN? This article originally appeard in The Philadelphia Inquirer on March 13, 1983. Call me skeptical, but I had a hard time buying James Morasco’s concept that the planet Jupiter would be colonized by bringing all the people on Earth who had ever died back to life and then changing Jupiter’s atmosphere to allow them to live. Is it just me, or does that strike you as hard to swallow, too? 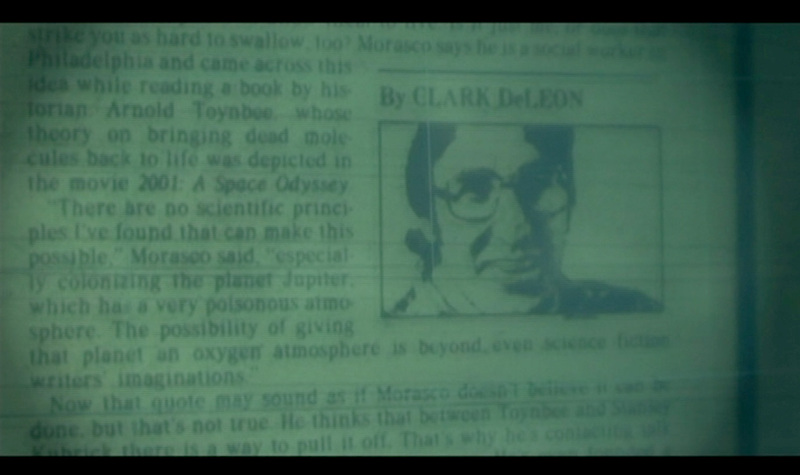 Morasco says he is a social worker in Philadelphia and came across this idea while reading a book by historian Arnold Toynbee, whose theory on bringing dead molecules back to life was depicted in the movie 2001: A Space Odyssey. You may be hearing more from Morasco. And then again, you may not.